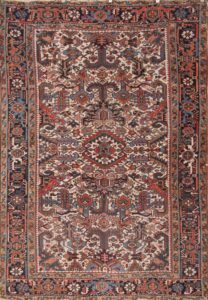 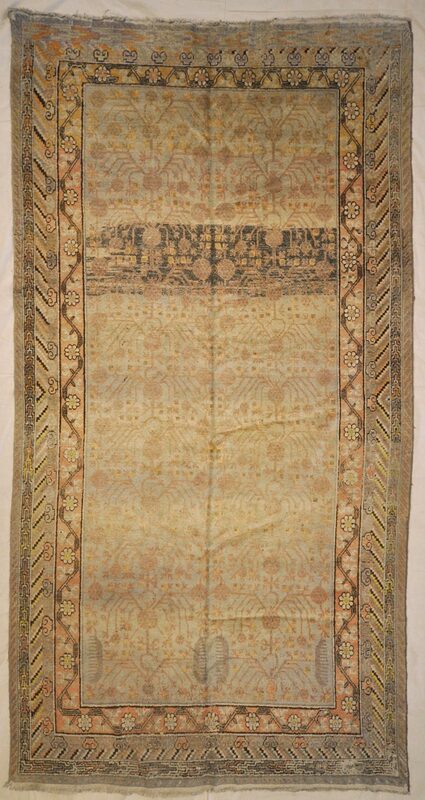 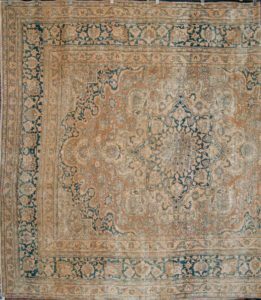 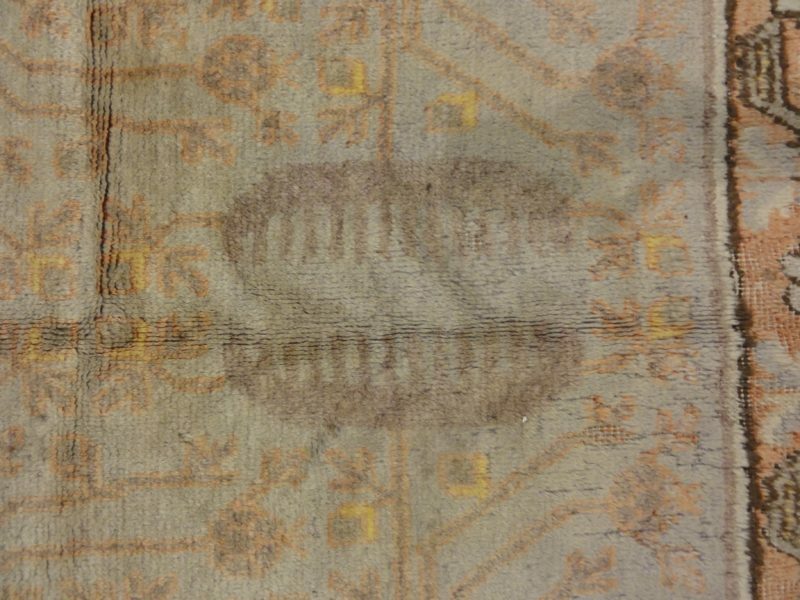 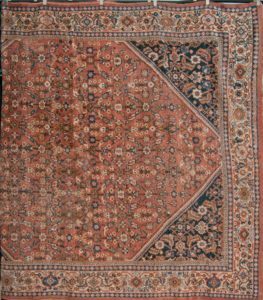 This attractive antique Khotan rug is a spectacular testament to the complexity of Turkestan design. 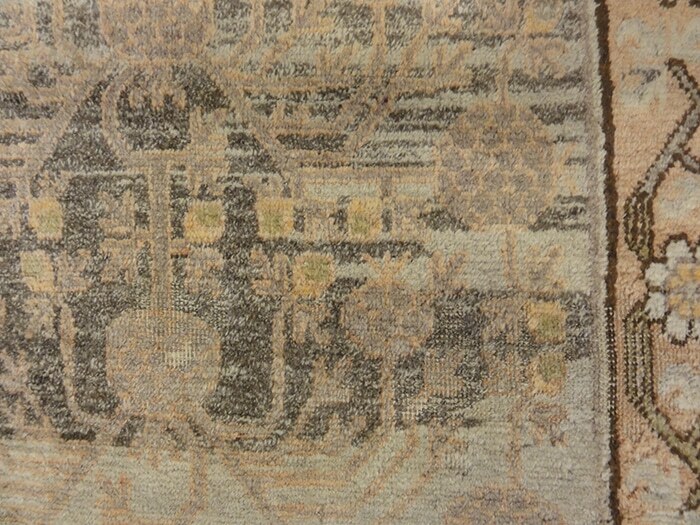 The creamy ivory central field plays host to a stunning all-over display of interconnected floral patterns. 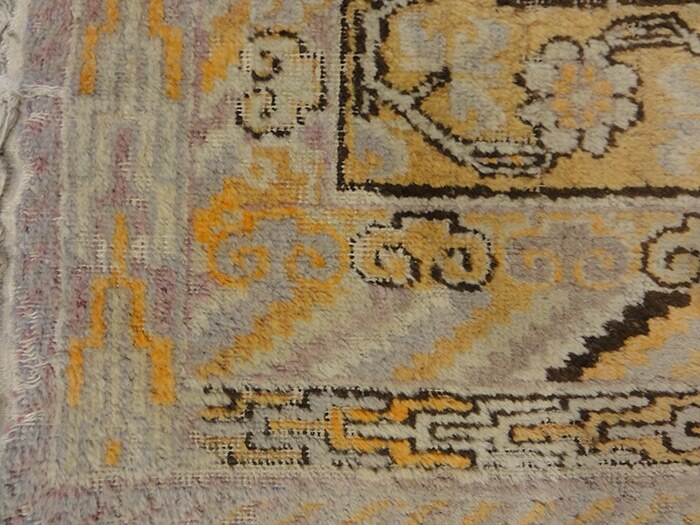 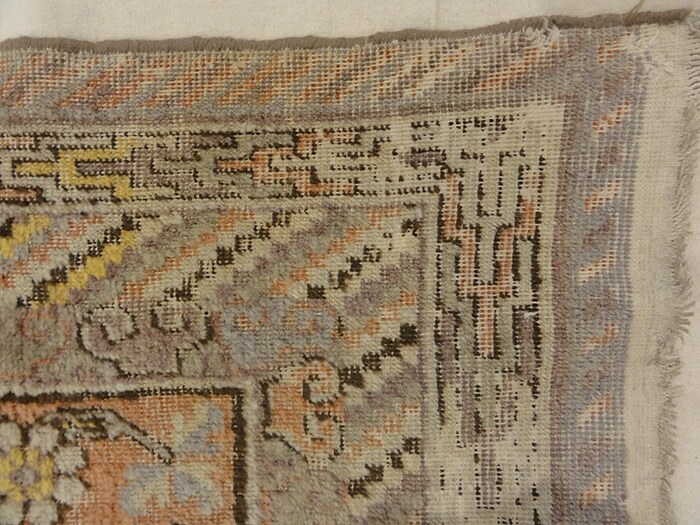 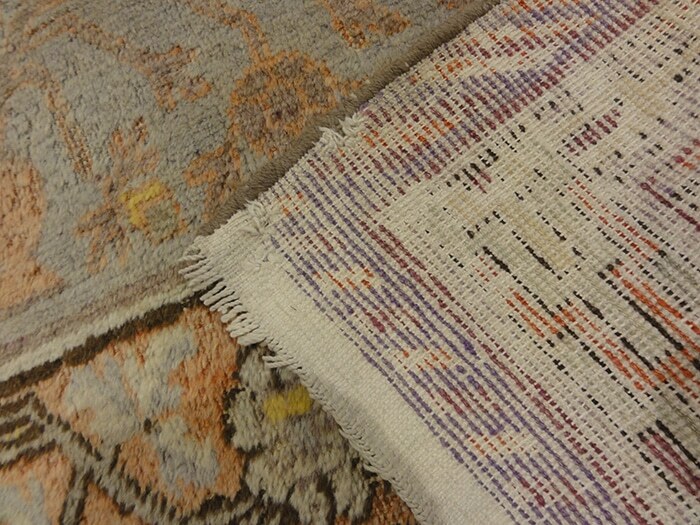 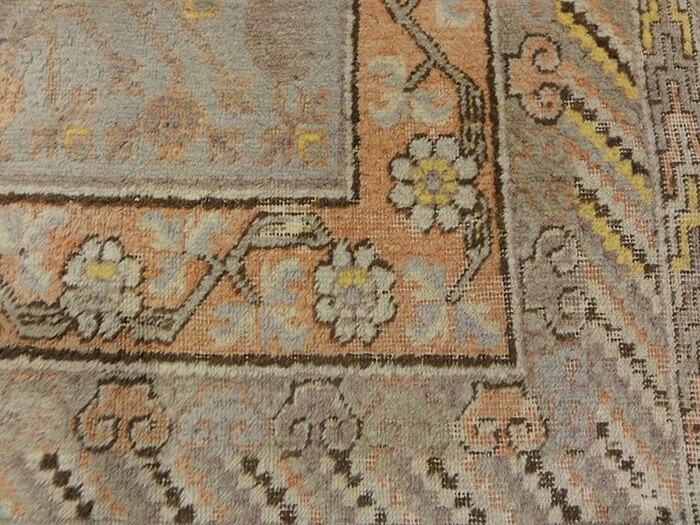 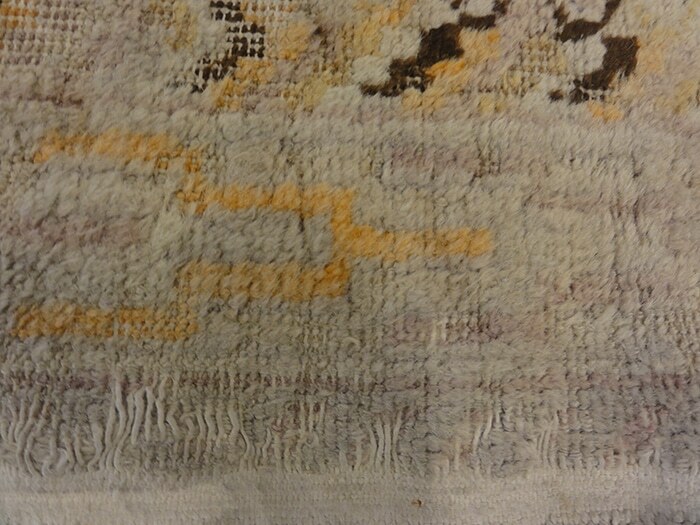 The complementary border is a testament to the rug’s overall aesthetic. 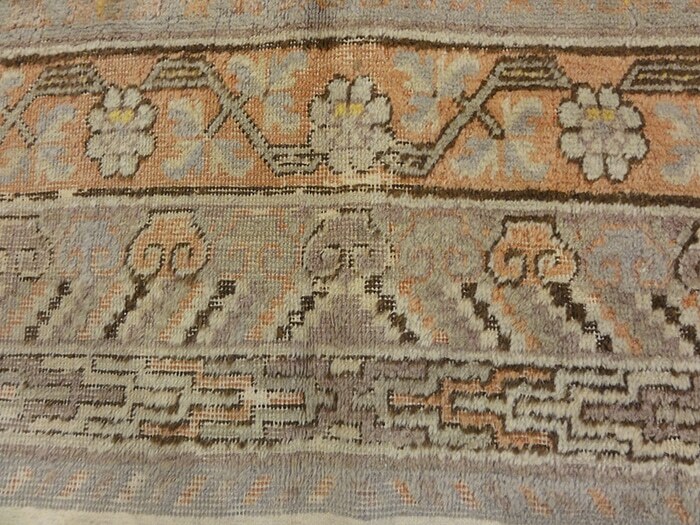 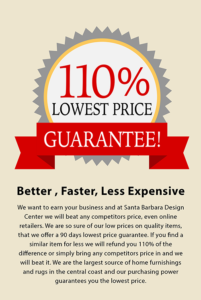 Colors include navy blue, coral, ivory, green, and gray.